As tigers and various other endangered big cats get closer to the brink of extinction, the key to saving them might be closer to home than you think. In fact, she may very well be curled up for a nap somewhere at this very moment. The Dodo spoke with Dr. Franklin West, a stem cell researcher from the University Of Georgia, who's leading a fascinating project to boost big cat populations. How? 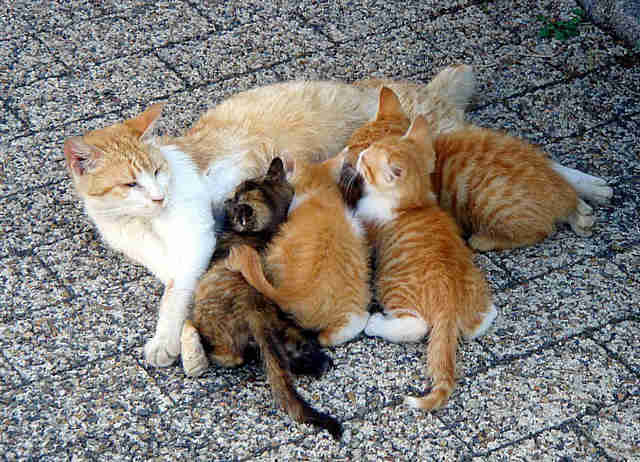 By having domestic cats give birth to them. 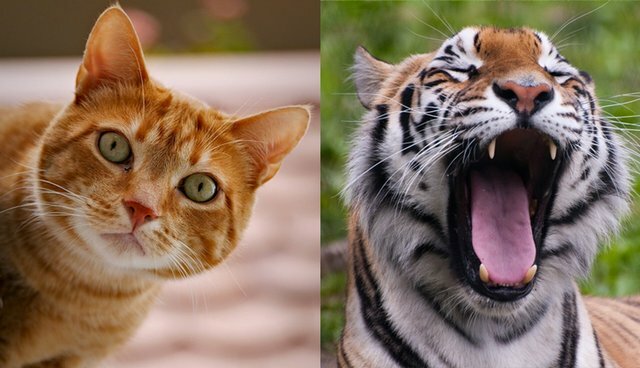 It might seem like the realm of science fiction, but it turns out that technology exists today that can turn common kitties into literal tiger moms. 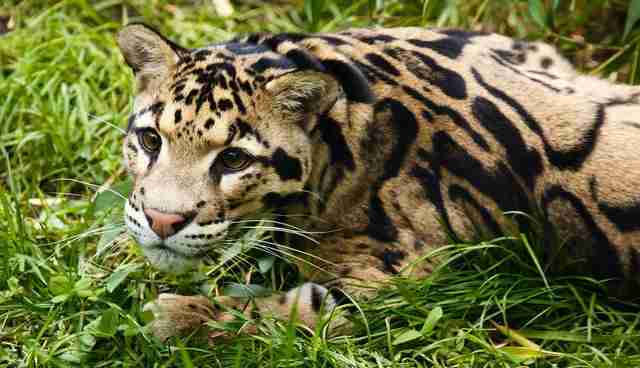 "The idea here is that we can create stem cells from the skin cells of big cats. We can collect a skin biopsy and reprogram those skin cells into stem cells, which we then use to make a sperm and an egg," West said. "Ultimately, we could then put the sperm and egg together to make a developing embryo." Despite being conceived in a lab, that big cat embryo would, of course, still need a womb to grow in. That, says West, is where our familiar feline pets come in. 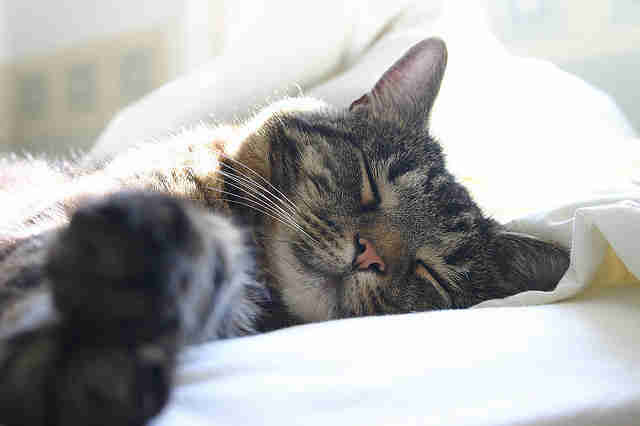 "We know a lot about cat reproduction and physiology. It makes it easier to move this project forward," he said. 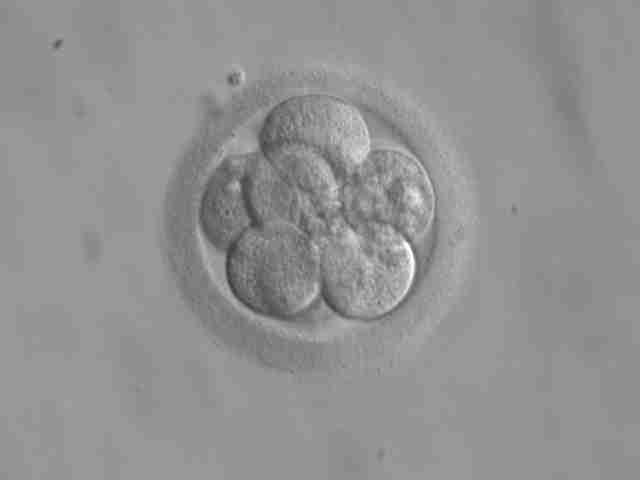 "The plan is to ultimately transfer these developing embryos into domestic house cat recipients so that we can birth kittens. To do that, there is a lot of developmental biology and reproductive biology that goes into it to keep these pregnancies going, and we know a lot more about cats than we do about other species. Cats are a logical choice." 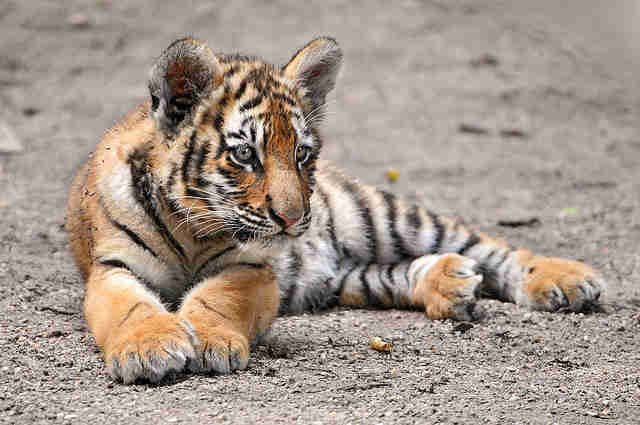 Given the differences in size between house cats and, say, tigers, it might seem physically impossible for a recipient mother to handle a tiger cub growing inside her. But West doesn't believe that will be a problem. "Making sure this procedure would be safe for cats is a big issue for us. You don't want to save one species by doing something negative to another species," he said. "Embryos tend to develop a little smaller, to fit the vessel, so to speak. Once they are birthed, the animal then catches up on growth rapidly. That's one thing we believe will happen. We might have to do a C-section, but this is commonly done for pets that can't naturally give birth." While it might sound overly ambitious, West says that his lab has actually developed most of the steps required to carry it out using skin cells gathered from an endangered Sumatran tiger and clouded leopard at a local zoo. The biggest hurdle isn't a lack of technology, but rather a lack of funding. "This project is unusual. My lab is a stem cell lab, so we do a lot of different things. We develop stem cell therapies for stroke patients and traumatic brain injury patients. When you need funding for those kinds of endeavors, it is easy to find," said West. "But for these types of projects that we're talking about, using stem cells to protect endangered species, there's not a real good funding mechanism out there." That being the case, West's team has launched a crowdfunding page, hoping to raise enough money from donors to see the project through. A novel solution, using cutting edge research, couldn't come at a more crucial time for tigers, leopards and other big cat species, many of which are under real threat of being wiped out forever. Even with a small cadre of house cats, giving birth to these creatures' cubs could go a long way toward restoring their numbers back to stable levels. But big cats aren't the only animals who stand to benefit from this technology. "The idea here is pretty big," said West. "Instead of just focusing on feline species, we could use this technology to go even further, with species like bears and elephants. This could work with eagles and condors. I think this technology has a wide repertoire of possibilities," said West. "We just need support to get this off the ground." Click here to learn how you can contribute funding for this potentially game-changing research.